Parcel is finished and permit ready. Ideal For: Bank, Restaurant, or Other Commercial Uses. 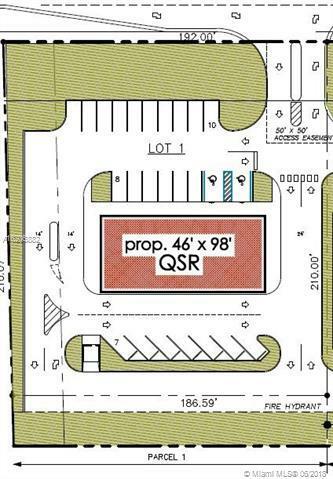 Adjacent to Available 1/2 +/- Acre, which is finished and permit ready.Centrally located at the major intersection of Miramar Parkway & Red Road, one block from Miramar's Civic Center & Municipal Complex. 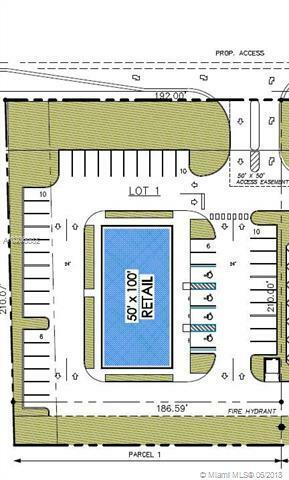 Close and convenient access to Florida Turnpike, I-75 and I-95. 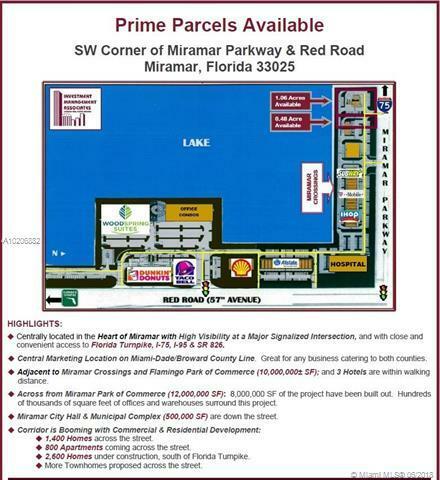 Across from massive Miramar Park of Commerce and adjacent to Flamingo Park of Commerce and Miramar Crossings. Over 90,000 vehicles pass the junction daily with a hospital planned for the hard corner.